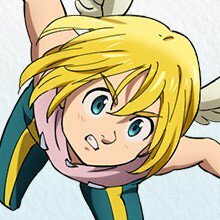 The official website for the Gekijōban Nanatsu no Taizai: Tenkū no Torawarebito (The Seven Deadly Sins the Movie: Prisoners of the Sky) anime film began streaming a trailer on Thursday. The video previews Nogizaka46's theme song "Sora Tobira" (Sky Door). The film will open in Japan on August 18. People who buy advance tickets and a copy of the original manga's volume 33 from 7net will receive a new 16-page storybook drawn by the manga creator Nakaba Suzuki. The storybook will cover the "day of that incident 10 years ago," which is not told in the manga's first 17 volumes. The film will feature a completely new story by original manga creator Nakaba Suzuki. 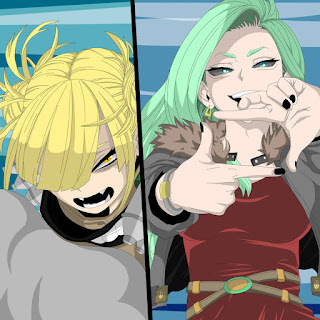 In the story, [Highlight white text to read spoilers for the end of the first anime season] a little time has passed since The Seven Deadly Sins and Princess Elizabeth brought peace to the kingdom. 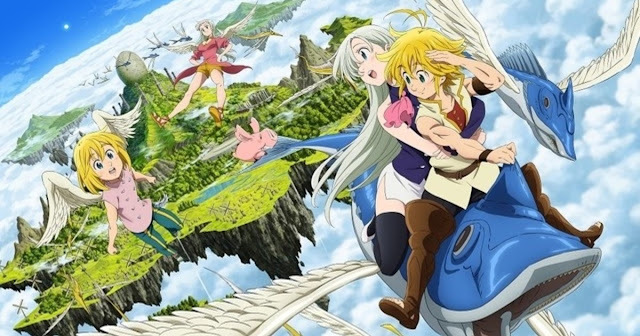 To celebrate the king's birthday, The Seven Deadly Sins travel to a remote land in search of the phantom ingredient "sky fish." Meliodas and Hawk end up at a "Sky Palace" that exists above the clouds, where all the residents have wings. Meliodas is mistaken for a boy who committed a crime and is thrown in prison. Meanwhile, the residents are preparing a ceremony for defense against a ferocious beast that awakens once every 3,000 years. 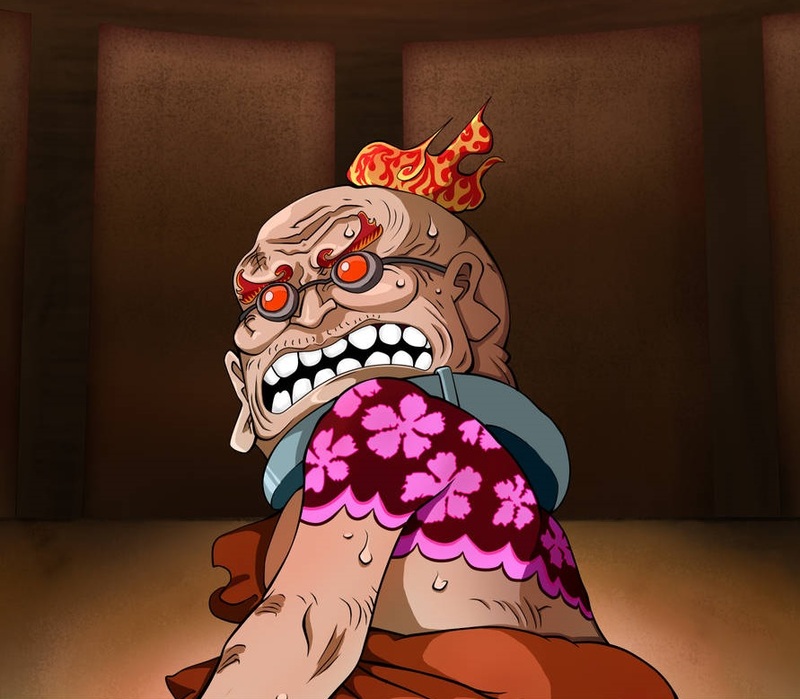 But the Six Knights of Black, a Demon Clan army, arrives and removes the seal on the beast in order to threaten the lives of the residents of Sky Palace. Meliodas and his allies meet the Six Knights of Black in battle. Tsubasa Yonaga as Sorada, a young man and a "heavenly winged person" from Sky Palace. He is searching for a legendary "Lord Oshiro" who will protect Sky Palace from the Demon Clan. Haruka Tomatsu as Ellatte, a young woman and a "heavenly winged person" whose appearance really resembles Elizabeth. She is a determined tomboy, and she believes in the promise she made with Sorada, and is awaiting his return. Toshiyuki Morikawa as Bellion, the leader of the Six Knights of Black of the Demon Clan army. He wields a large one-handed sword, and it is said that his strength rivals that of the Ten Commandments. Noriyuki Abe is serving as chief director, while Yasuto Nishikata is directing at A-1 Pictures. Makoto Uezu is writing the script. Keigo Sasaki is returning from the television anime as character designer and chief animation director, and Hiroyuki Sawano is again composing the music. Suzuki's manga inspired a 24-episode television anime series that aired in 2014 and 2015. Netflix later streamed the series with both English and Japanese audio, and Funimation released the series in two parts on home video. 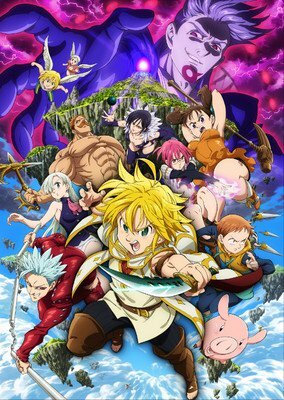 A four-episode television anime special titled The Seven Deadly Sins -Signs of Holy War- then premiered in August 2016. Netflix began streaming the series in February 2017. 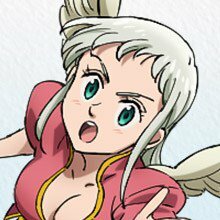 A second season, The Seven Deadly Sins: Revival of The Commandments premiered in January.